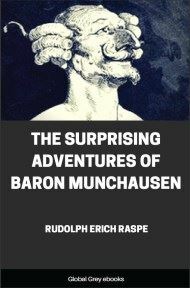 The Baron Munchausen was in part the creation of Rudolphe Erich Raspé (1737-1794) who led a life worthy of a tall tale: naturalist, antiquarian, scholar and thief, his name figures with Daniel Defoe and Johnathan Swift as one of the great "travel liars". It is a curious fact that of that class of literature to which Munchausen belongs, that namely of Voyages Imaginaires, the three great types should have all been created in England. 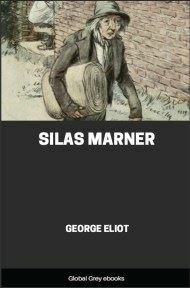 Utopia, Robinson Crusoe, and Gulliver, illustrating respectively the philosophical, the edifying, and the satirical type of fictitious travel, were all written in England, and at the end of the eighteenth century a fourth type, the fantastically mendacious, was evolved in this country. Of this type Munchausen was the modern original, and remains the classical example. The adaptability of such a species of composition to local and topical uses might well be considered prejudicial to its chances of obtaining a permanent place in literature. Yet Munchausen has undoubtedly achieved such a place. 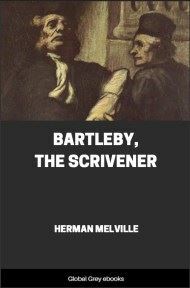 The Baron's notoriety is universal, his character proverbial, and his name as familiar as that of Mr. Lemuel Gulliver, or Robinson Crusoe, mariner, of York. Condemned by the learned, like some other masterpieces, as worthless, Munchausen's travels have obtained such a world-wide fame, that the story of their origin possesses a general and historic interest apart from whatever of obscurity or of curiosity it may have to recommend it. The work first appeared in London in the course of the year 1785. No copy of the first edition appears to be accessible; it seems, however, to have been issued some time in the autumn, and in the Critical Review for December 1785 there is the following notice: "Baron Munchausen's Narrative of his Marvellous Travels and Campaigns in Russia. Small 8vo, IS. (Smith). This is a satirical production calculated to throw ridicule on the bold assertions of some parliamentary declaimers. If rant may be best foiled at its own weapons, the author's design is not ill-founded; for the marvellous has never been carried to a more whimsical and ludicrous extent." The reviewer had probably read the work through from one paper cover to the other. 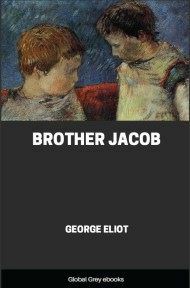 It was in fact too short to bore the most blasé of his kind, consisting of but forty-nine small octavo pages. The second edition, which is in the British Museum, bears the following title; "Baron Munchausen's Narrative of his Marvellous Travels and Campaigns in Russia; humbly dedicated and recommended to country gentlemen, and if they please to be repeated as their own after a hunt, at horse races, in watering places, and other such polite assemblies; round the bottle and fireside. Smith. Printed at Oxford. 1786." 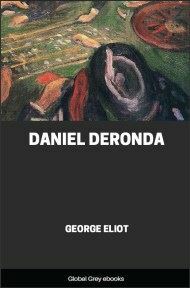 The fact that this little pamphlet again consists of but forty-nine small octavo pages, combined with the similarity of title (as far as that of the first edition is given in the Critical Review), publisher, and price, affords a strong presumption that it was identical with the first edition. This edition contains only chapters ii., iii., iv., v., and vi. (pp. 10-44) of the present reprint. 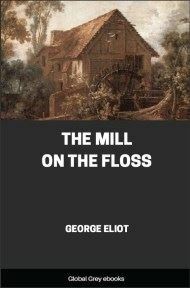 These chapters are the best in the book and their substantial if peculiar merit can hardly be denied, but the pamphlet appears to have met with little success, and early in 1786 Smith seems to have sold the property to another bookseller, Kearsley. Kearsley had it enlarged, but not, we are expressly informed, in the preface to the seventh edition, by the hand of the original author (who happened to be in Cornwall at the time). He also had it illustrated and brought it out in the same year in book form at the enhanced price of two shillings, under the title: "Gulliver Reviv'd: The Singular Travels, Campaigns, Voyages and Sporting Adventures of Baron Munnikhouson commonly pronounced Munchausen; as he relates them over a bottle when surrounded by his friends. A new edition considerably enlarged with views from the Baron's drawings. London. 1786." A well-informed Critical Reviewer would have amended the title thus: "Lucian reviv'd: or Gulliver Beat with his own Bow." Four editions now succeeded each other with rapidity and without modification. A German translation appeared in 1786 with the imprint London: it was, however, in reality printed by Dieterich at Göttingen. It was a free rendering of the fifth edition, the preface being a clumsy combination of that prefixed to the original edition with that which Kearsley had added to the third. The fifth edition (which is, with the exception of trifling differences on the title-page, identical with the third, fourth, and sixth) is also that which has been followed in the present reprint down to the conclusion of chapter twenty, where it ends with the words "the great quadrangle." The supplement treating of Munchausen's extraordinary flight on the back of an eagle over France to Gibraltar, South and North America, the Polar Regions, and back to England is derived from the seventh edition of 1793, which has a new sub-title:—"Gulliver reviv'd, or the Vice of Lying properly exposed." The preface to this enlarged edition also informs the reader that the last four editions had met with extraordinary success, and that the supplementary chapters, all, that is, with the exception of chapters ii., iii., iv., v., and vi., which are ascribed to Baron Munchausen himself, were the production of another pen, written, however, in the Baron's manner. To the same ingenious person the public was indebted for the engravings with which the book was embellished. The seventh was the last edition by which the classic text of Munchausen was seriously modified. Even before this important consummation had been arrived at, a sequel, which was within a fraction as long as the original work (it occupies pp. 163-299 of this volume), had appeared under the title, "A Sequel to the Adventures of Baron Munchausen. . . . Humbly dedicated to Mr. Bruce the Abyssinian traveller, as the Baron conceives that it may be some service to him, previous to his making another journey into Abyssinia. But if this advice does not delight Mr. Bruce, the Baron is willing to fight him on any terms he pleases." This work was issued separately. London, 1792, 8vo.